As part of the overall Tesco Finest* rebranding project back in 2014, P&W was tasked to take guardianship of the diverse grocery category. 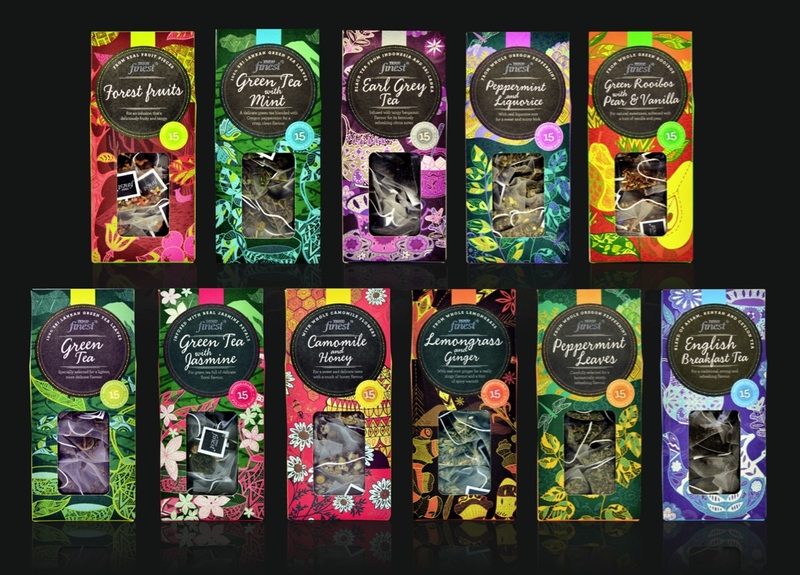 This is award-winning range of 15 herbal teas we designed. Our challenge was to create “impactful, stylish and desirable” packaging so we produced handcrafted, contemporary illustrations for the packs that each had a narrative associated with its origin and/or flavour. 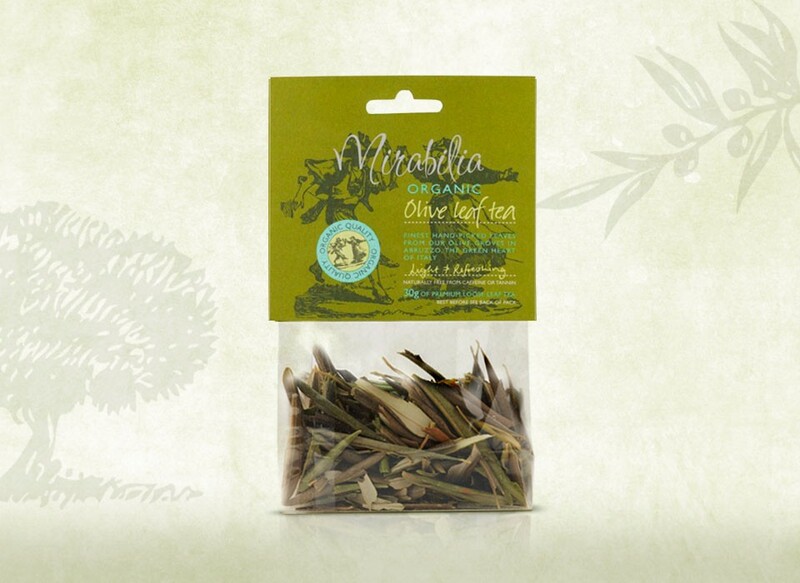 P&W created the branding and packaging for an independent organic olive leaf tea producer, Mirabilia. We brought to life the authentic values of the brand, reflecting the Italian provenance and artisan traditions of rural Abruzzo. Our packaging solution tells the brand story from the history of the region to how the tender olive leaves are handpicked at optimum time and slowly dried to create the perfect tea. 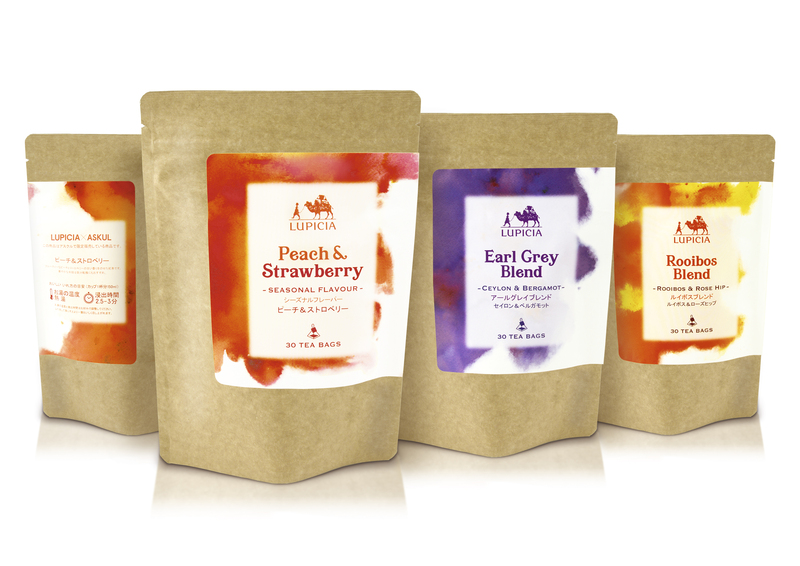 We were recently tasked by ASKUL Corporation, a Japanese e-commerce company, to re-design the packaging for a range of limited edition Lupicia herbal teas. Our design solution has ensured the three flavours are distinct from an abundance of other teas within ASKUL’s catalogues and websites, with bespoke commissioned powder watercolour backdrops for each label. 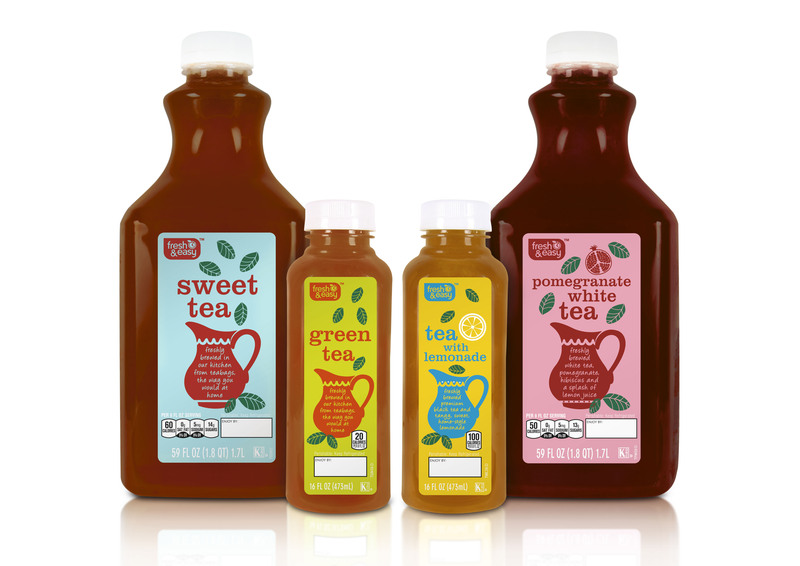 P&W designed the fresh iced teas for US-based supermarket chain Fresh & Easy. The ready-to-drink range included unsweetened tea, green tea, pomegranate white tea, sweet tea, tea with lemonade and a unique Moroccan-style mint tea. We used hand-crafted illustrations to help convey a homemade feeling with the pitcher evoking “sharing” and “summertime refreshment”. The contemporary yet folksy illustrations were tailored for each tea, giving each one a unique and distinct look. P&W has been producing tea designs for Japanese retailer, Seicomart for over 20 years. 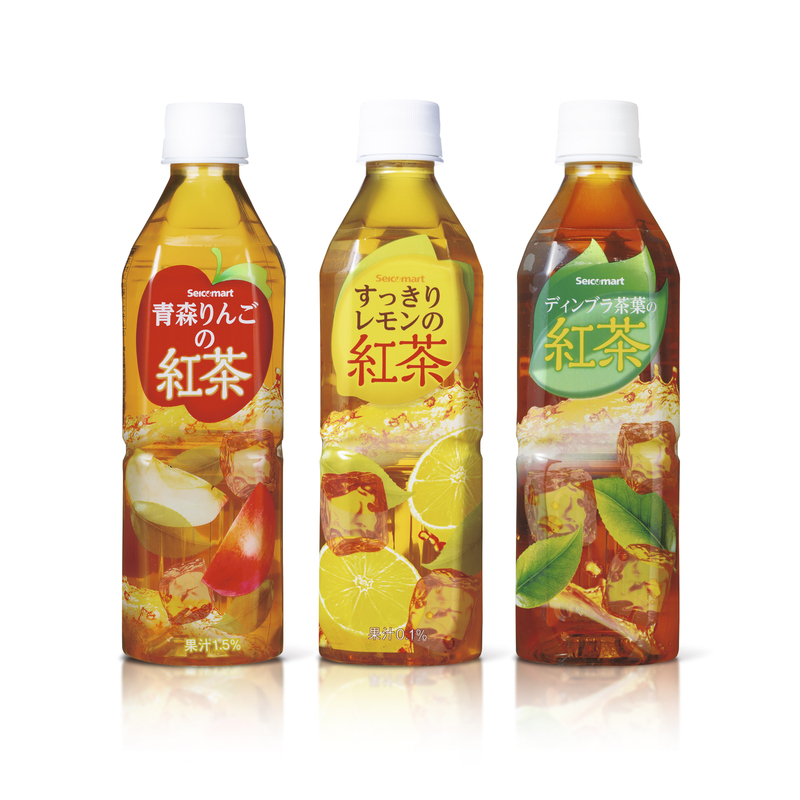 This particular trio of iced teas features; Apple, Lemon and Dimbula (a type of Ceylon tea!) flavours. The design solution we created, incorporates splashes of tea and fresh fruit and ice photography to evoke a sense of refreshment. The transparent plastic bottles and semi-transparent labels enable the different liquid colours to be viewed. Throwback to this 2008 collection of traditional Finest* boxed teas. 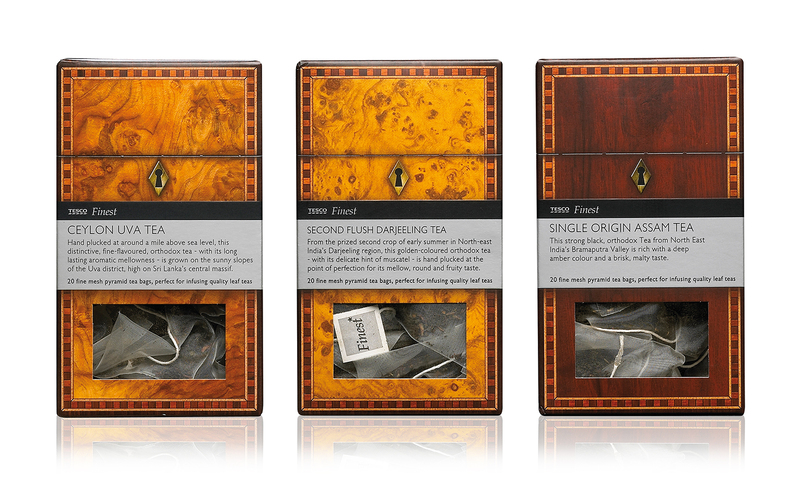 The flavours include: Ceylon Uva, Second Flush Darjeeling and Single Origin Assam. The designs were premium and distinctive; the cardboard boxes at first appeared to be highly-polished traditional wooden tea chests. P&W has been providing creative support for the largest tea company in the UK, Tetley, since 2014. 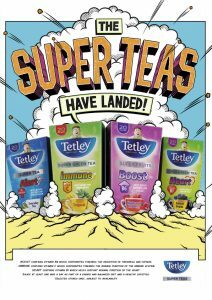 The pop-art inspired advert below is was created for Tetley UK ‘s Super Tea range. Each tea has its own flavour and variety of ingredients designed to enhance your day. For example, ‘Boost’ contains Vitamin B6 which contributes towards the reduction of tiredness and fatigue, while ‘Immune’ contains Vitamin C which helps maintain a healthy immune system!